Accused Mexican drug lord Joaquin 'El Chapo' Guzman's trial is due to get under way in New York with jury selection in a US federal court in Brooklyn. Lawyers for Guzman said in a motion last week that they needed more time to review more than 14,000 pages documents, largely related to key witnesses expected to testify against their client, that prosecutors turned over. However, US District Judge Brian Cogan said at a hearing last Tuesday that the volume of documents was in line with what they should have expected, noting that prosecutors had said in July that it could be 25,000 pages and that sprawling, complex cases like Guzman's were necessarily challenging for both sides. In what he called a small concession to the defence, Judge Cogan ruled that opening statements in the trial would begin no earlier than 13 November, which could allow some extra time to prepare if jury selection finishes early next week. He said he was concerned that the prosecutors had indicated that they were prepared to present evidence that Guzman was involved in more than 30 murder conspiracies, even though the charges against him are for drug trafficking. Guzman, 61, has been in solitary confinement since being extradited to the United States from Mexico in January 2017. 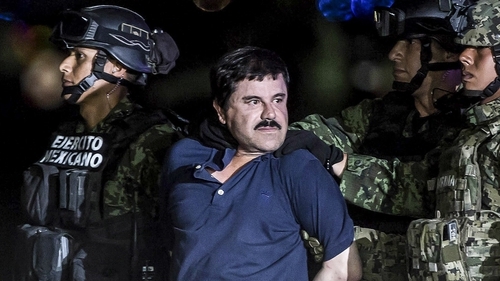 He was known internationally as the head of Mexico's Sinaloa Cartel.